Last week I threw a little Easter Tea for Stanley and his little friends with a little help from Hobbycraft who supplied me with the finer details to make it even more special! It’s that time of year AGAIN where we watch the kids hunt for mini chocolate eggs, run wild on sugar high’s and pick up the pieces when they’re on a come-down hahahaha! No but in all seriousness, what a lovely time it is and aside from the chocolate overload, Easter has much more of a meaning for us because we are Christians. 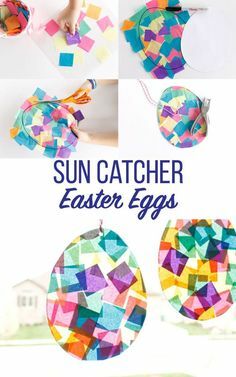 Hobbycraft kindly sent us a couple of party accessories and craft materials, which we used to create some ‘bunny’ masks and some colourful sun-catcher Easter eggs! 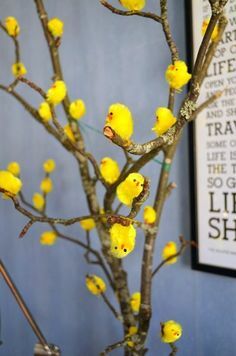 Hobbycraft have a vast range of craft materials and party decorations to accompany your own homemade get-together this Easter weekend and keep everyone entertained. You can see the full range HERE. Every Easter I always create mini Egg Box treats for the boys and made some extras for Stanley’s little friends. I fill empty egg boxes with a range of different chocolates- from eggs, to bunnies and chicks, then make mini pompoms to decorate the boxes. They always go down so well! In addition to some snacks and pizza, the children made some fun and EASY crafts that were popular with everyone. Even the mummies got involved! Whatever you’re up to this Bank Holiday weekend, enjoy time with the your families and see you on the other side a few pounds heavier!! Have a very Happy Easter! Visit Hobbycraft for plenty of Crafty Inspiration and Party bits for all occasions. 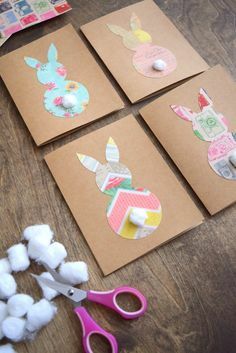 What better way to entertain the children than getting creative in a good craft project? This Easter holidays we were sent a wonderfully large box of goodies from Clas Ohlson, including their iconic wooden Dala Horse, for us to decorate to our hearts content! Clas Ohlson is Swedens favourite home and hardware brand and we have a handful of shops here in the Uk. This year is the brand’s 100th birthday, so Harry and his cousins have spent a rainy day using their artistic skills and imagination to create some Dala horses of their own. The tale of the Swedish Dala horse is one that the children loved to hear about. It was in the small log cabins deep in the forests of the Swedish Dalarna region, that the Dala horse was born. Using simple tools, nestled around the log fire, woodcarvers made these wooden horse toys for their children. The most famous and iconic Dala horse pattern, with its red, white, green, yellow and blue design is believed to be 150years old! Our giant box of art supplies included; A family of 3 wooden Dala horses, Sharpie pens, a hot glue gun, a pack of beads, a label maker (my ALL TIME FAVOURITE! ), acrylic paints, glitter glue, glitter pens, magnets, keyrings and tape. All products that you can purchase in one of the Clas Ohlson stores and online. Without any of my input, we set everything up on the table and Harry and his cousins went to town with the materials! When it comes to arts and crafts, I love nothing more than letting the children have as much creative freedom as possible. School holidays and weekends are perfect for this because you usually have no time restraints. I never worry about mess because there really is no point! If you’re looking for an activity to do these school holidays, then head to either the Kingston or Ealing stores in London this Thursday 12th April between 11am-2pm where you can get involved in a free Dala horse decorating workshop. I’m dying to decorate one for myself so I may see you there!